For a man who has been in three continents and six countries before assuming his current role at the helm of Omnicom Media Group (OMG) in Malaysia, Andreas Vogiatzakis knows the value of change. In his presentation to hundreds of students in INTI’s Business Leadership Series (BLS), the Managing Director of OMG and certified professional coach called for a shift in perceptions, thinking and expectations. “If you really want to become a successful leader, you have to learn, unlearn and relearn. To quote Darwin, ‘It is not the strongest of the species that survive, nor the most intelligent, but the ones most responsive to change’. Therefore, I encourage all of you to embrace change and let it help you in your development of character and strength,” he said. Vogiatzakis also believes that a leader must be the conductor of his or her own life and goals, and be an inspiration to others. Effective leaders are effective people who are ready to embrace change, says Vogiatzakis. “Leadership is earned and it’s earned hard. Effective leaders are effective people first and foremost, who are passionate about what they do; who stand for something; who fight for it; who stay calm in troubled waters. When waters are calm everybody can be a leader and take the ship to the port; when trouble comes, that’s where the difference can be seen,” he said. 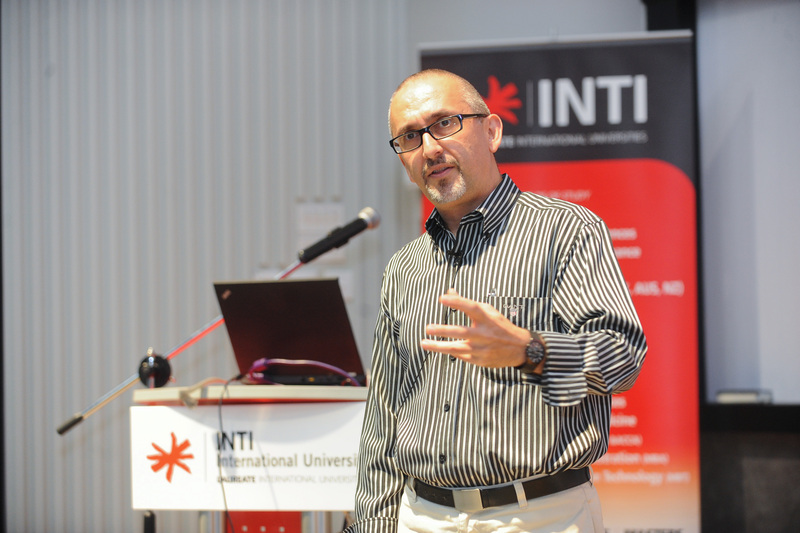 Delivered in a packed lecture theatre at INTI International University in Putra Nilai, Vogiatzakis’ address was also viewed via live stream by students and staff at INTI’s campuses nationwide. The BLS provides INTI’s 14,000 strong student community an opportunity to engage with the industry in addition to having real time dialogues and debates on topical issues. It has seen prominent corporate leaders such as Google Malaysia’s Sajith Sivanandan, Media Prima’s Ahmad Izham Omar, Dell’s Bobbi Dangerfield, Microsoft Malaysia’s Ananth Lazarus, Frost & Sullivan’s Manoj Menon, IBM’s Ramanathan Sathiamutty and many others speaking to INTI students on the latest trends and developments in business and career opportunities on a global scale. “I am confident that no other tertiary institution in Malaysia is offering this level of exposure to this level of community and industry leadership on such a regular basis,” he added. For more information on INTI’s programmes, call 06-7982000 / 03-56232800.